Michelle Malkin's new book "Culture of Corruption" is a damning review of a connected Chicago Pol and his connected wife who have surrounded themselves with other connected and corrupt people who only seem to have one thing in common; living off the proceeds of those connections. The book details how over and over people have been given positions of power and used that power to direct public monies to friends, political sponsors and their families. The reward? Political support both funds and muscle, employment for family and friends and when their time of "public service" is through; "jobs" to establish or increase their personal wealth. There are two distinct groups the first are Direct members of the "Chicago Crowd" such as the first lady and Valerie Jarret detailed in Chapter 2. 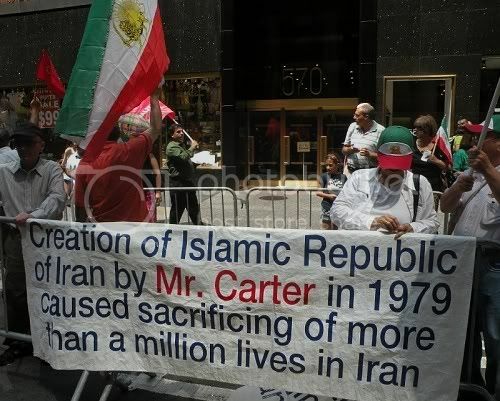 These are the folks that greased the wheels to get this president where he is today. The SEIU and ACORN Chapters also reflect the Chicago connection. They are a great example of what is wrong with machine politics. The other group are appointments unrelated to his Chicago crowd who bring their own connections/ethics/money issues to the table. It is the willingness to embrace that 2nd group, much to the surprise of "locals" familiar with the foibles of these connected pols, Washington and wall street insiders that is striking but not surprising. If after all you are going to run things the Chicago Way you need people who understand the ground rules of connection and reward. These people do in spades. (The Joe Biden chapters fits is perfectly here). The 300 pages and the copious notes including tons of web references with dates of access very much support the thesis that the "hope and change" of the administration is a lot of Hotair. You can read the rest of the review at the book link above. You can also watch Ms. Malkin on PJTV discussing her book. She brings up a lot of questions based on recent news that are not included in her book. I'm sure many of you are familiar with the term used in computing GIGO. Well some wag has redefined that term with reference to Climate Science. The Democrats are having a health care problem. Some factions of the party are sick of each other. on his committee who had been bottling up the bill over concerns about cost. The compromise, which still must be reconciled with competing House and Senate versions, would significantly weaken the public option favored by liberals by delinking reimbursement rates to Medicare. “Waxman made a deal that is unacceptable,” said Rep. Jerrold Nadler (D-N.Y.), one of about 10 progressives who met repeatedly with Pelosi and Majority Leader Steny Hoyer (D-Md.) on Wednesday. “We signed a pledge to reject any plan that doesn’t include a robust public option, and this plan doesn’t have a robust public option,” he added. 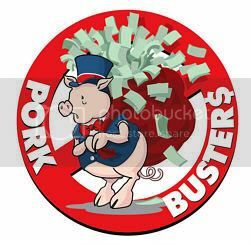 I think "robust" is Democrat speak for "big taxpayer rip off". I blame it all on Howard Dean's strategy to get Democrats elected in the South. He got the politicians changed all right. What he forgot to do was to change the people. A common failing of both parties. In this round it is hurting the Democrats. Eventually the worm will turn. Then the Republicans can learn (or not most likely) to deal with Party members not fully committed to the Party agenda. I LOVE gridlock. The less the government does the better. Especially on the Federal level. The Cash For Clunkers Program that I wrote about here is a rousing success. So much so that the $1 billion that was supposed to last three months is gone in a week. The Obama administration is telling lawmakers that its much-touted "cash-for-clunkers" program is already running out of money, according to three Senate aides familiar with the discussions. The program — aimed at giving at boost to the U.S. auto industry — was supposed to expire at the end of October. But in the one week since it took effect, it appears to have run dry of the $1 billion allocated to it, aides said Thursday. The Obama administration had told senators that the program would be suspended at midnight Thursday, aides said, but a White House official told POLITICO that the administration is "working tonight to assess the situation facing what is obviously an incredibly popular program. Well why wouldn't it be popular. It is a direct subsidy on the order of $3,000 to $4,000 for the purchase of a new car. All you need is a drivable junker that you have owned for a year to trade in to get the Government Cash. Can't afford a new car? Credit bad? Tough luck. This is not for the peasants. It is to help boost Government Motors, Crisis Motors, and FUD (Fear, Uncertainty, and Doubt) Motors. Now here is where the Republicans come in on the "deal". One Michigan Republican, Congresswoman Candice Miller, has already come out in favor of extending the program, saying in a statement: “There can be no doubt that the Cash for Clunkers program is a complete success given the fact that the entire $1 billion allocated to the program was expended in less than a week." She called the program "simply the most stimulative $1 billion the federal government has spent during the entire economic downturn." Stimulative for the folks getting the money. A stone rip off for the taxpayers who will wind up paying the bill. And we have a Republican dancing in the street over this? Doesn't the Republican Party have any principles any more? Well I guess I already knew the answer to that question. Still. Do Canadians Like Their Health Care? Lefty economist Paul Krugman asks about Canadian health care. Tim Price has an interesting take on bankers. ...the coinage "banker" has now completely replaced its assonant rival as a term of abuse to describe the hopelessly objectionable and contemptible. Given the state of the economy shouldn't the term be "tanker"? However, many blame W for the current mess. And if the above sentence doesn't set your head spinning it isn't screwed on right. I was looking at Nir Shaviv's site Sience Bits and came across an interesting paragraph. According to the IPCC (AR4), the solar irradiance is responsible for a net radiative forcing increase between the Maunder Minimum and today of 0.12 W/m2 (0.06 to 0.60 at 90% confidence). We know however that the Maunder minimum was about 1°C colder (e.g., from direct temperature measurements of boreholes - e.g., this summary). This requires a global sensitivity of 1.0/0.12°C/(W/m2). Since doubling the CO2 is thought to induce a 3.8 W/m2 change in the radiative forcing, irradiance/climate correlations require a CO2 doubling temperature of ΔTx2 ~ 31°C !! Besides being at odds with other observations, any sensitivity larger than ΔTx2 ~ 10°C would cause the climate to be unconditionally unstable (see box here). Clearly, the IPCC scientists don't comprehend that their numbers add up to a totally inconsistent picture. Of course, the real story is that solar forcing, even just the irradiance change, is larger than the IPCC values. Make sure that you look at the box at Ice Core Truth where he shows that any value for climate sensitivity above 10°C for a doubling of CO2 produces an unconditionally unstable climate. That is the crux of the matter. Now for a bit of speculation. Why aren't the alarmist numbers internally consistent? I suspect they are cooking the books. John Conyers thinks we should have a new right. He is not talking about a change in his political opposition either. During his speech at a recent National Press Club luncheon, House Judiciary Chairman John Conyers (D-Mich.) said he is introducing a constitutional amendment that would establish health care as “a right” for all Americans. Humans have rights to free speech, self defense, the right to be left alone by government. When exactly did this new right come into being? If it is new then it is not unalienable. And what exactly is the cut off point? Should the government spend $1 billion to give me 1 more week of life? Or is $100 million a more reasonable number? To exercise the right to keep and bear arms you have to buy your own. Will the same be true of medical care? If we have a right to government medical care can I please have a government tank? Or maybe just a couple of mortar tubes, a rifle or three (full auto), and a shot gun for clearing trenches. Did I leave out a pistol? Plus 10,000 rounds of ammunition a year for each so I can keep in practice. And replacements (the most modern) for all the above every 5 years. 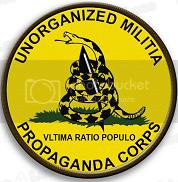 That way all the militias will be similarly armed. Oh yeah. I want to add some anti-aircraft missiles and anti-tank weapons to the mix as well. Probably 50 of each. You can never get too much practice. A Rebirth Of Mainstream Libertarianism? Well guess who is speaking at the Ronald Reagan Presidential Library on August 8th? Sarah Palin. And not just Twitter. You can find Sarah Palin On Facebook. The government market regulators are having a meeting. It’s a busy day for the Commodity Futures Trading Commission (CFTC) as testimony is heard regarding the controversial proposal to limit position sizes on all finite commodities. Evidently there will be no limit on stupidity. Google has some ideas on how to lower its electricity bill. Well the evidence is in about California. There are some terminally stupid people running that state. Fortunately there are some smart people running Google. As suggested in the article they will probably just bypass California and use Washington State or Oregon State to supply California with bits. The American Physical Society is reviewing their stance on the issue of man made global warming. We write in response to your issue discussing “the coming climate crunch”, including the Editorial ‘Time to act‘ (Nature 458, 10771078; 2009). We feel it is alarmist. We are among more than 50 current and former members of the American Physical Society (APS) who have signed an open letter to the APS Council this month, calling for a reconsideration of its November 2007 policy statement on climate change (see open letter at this link; APS statement at this link). The letter proposes an alternative statement, which the signatories believe to be a more accurate representation of the current scientific evidence. It requests that an objective scientific process be established, devoid of political or financial agendas, to help prevent subversion of the scientific process and the intolerance towards scientific disagreement that pervades the climate issue. Dissension in the ranks? Is the consensus breaking down? Is scepticism becoming respectable in science again? I sure hope the answer to the last question is: Yes! Because without scepticism science is not science, it is religion. A religion known as scientism. Evidently Henry Gates is a Professor at Harvard. His discipline is called Angry Studies. It confers a degree in Anger. The initial degree is BS Anger. The next is Master of Anger. The ultimate is Doctor of Anger. A Doctor of Anger gets to write peer reviewed papers explaining why their anger is special. Dave Hucker tells me: "I pursued the Anger degree at my local community college. I flunked the Self Righteous Anger semester. Just couldn't justify it." It seems some Senators have been meeting in secret to come up with a plan to destroy the insurance companies. Or raise the cost of insurance. Or both. the proposal under discussion by six members on the Senate Finance Committee would bar insurance companies from denying coverage to any applicant. Nor could insurers charge higher premiums on the basis of pre-existing medical conditions. Now exactly how are the insurance companies going to pay for the privilege of taking on a bunch of people who are already sick? It throws all their actuarial calculations out the window. Coming next - a bail out of favored insurance companies. OTOH this could be a ploy to raise campaign "donations" from insurance companies. They will have to "donate" in self defense. The other possibility is that the senators are insane. President ∅'s minions say the Democrats can't deliver on their health care bill without the help of Republicans. And the Republicans are not helping. President Barack Obama's push to overhaul health care needs Republican votes, lawmakers from both parties say. Democratic and GOP officials acknowledged Sunday that Obama's ambitious plan would not pass without the aid of a doubtful GOP, whose members are almost united against the White House effort. "Look, there are not the votes for Democrats to do this just on our side of the aisle," said Sen. Kent Conrad, D-N.D., the chairman of the budget committee. Rep. Jim Cooper, a Tennessee Democrat and a member of the fiscally conservative "Blue Dogs," said he doubts the Democratic-controlled House could pass a proposal as it's drafted now. "We have a long way to go," Cooper said. "When I take this bill to the floor, it will win. We will move forward, it will happen," said Pelosi, D-Calif. There are 257 Democrats in the House and 218 are needed to pass a Bill. That means that if the Republicans hold firm the Democrats are a minimum of 40 votes short. That is a defection rate of a little more than 15%. I think Pelosi needs to be floored before the American people get kicked to the floor. There is only one way to make sure this turkey gets the ax. Keep the pressure on. So keep those e-mails, faxes, and phone calls coming. To reduce CO2 forcing we need to increase government forcing. It has come to my attention that global temperatures have stalled with CO2 rising and that the head of the IPCC says we will be cooling until 2020. Can’t something be done to get temperatures rising again and to silence the head of the IPCC? Everything we have worked for is in jeopardy if something isn’t done soon. I also note that India plans to keep building coal fired plants no matter what and that China is not slowing down either. You need to sue those countries until they get on the bandwagon. If something is not done very soon the deniers will be in control everywhere. You can send them a letter too. Just click on the link. H/T Watts Up With That in the comments. Congressman - Did You Read The Bill? You can find more photos of the demonstrations in Vancouver, Canada at Atlas Shrugs. 8:05 Pm: Vancouver has the largest Persian community in Canada. They are diverse: Muslims, some women even had scarves, Christians, Bahais and Atheists. Much thanks to Armaros for the pics, "I just got back from the demo. Took 10 shots, there were between 500-700 people, really hot sun, lots of music, dance and a generally festive mood showing the contrast between the good and the evil who when demonstration only display morbid pictures and hateful slogans." Pam Geller (Atlas) is doing a great job of covering events in Iran. Keep her in mind for the latest events in that area of the world. I'm wondering though, should our President be known as OCarter or Carbama? Carbama has a nice ring. And fits with his allies. Here are some other videos in the series. These videos were prompted by a comment at Who Pays? by Ms. Cris Ericson. (1) The Vermont Board of Medical Practice has raised the cost to patients in Vermont by forcing them to go to HMO's and the Vermont Board of Medical Practice has done this by driving family practice doctors out; and it is more expensive because the doctors who are allowed to stay in business are required to send chronic pain patients to specialty clinics that force patients to sign "contracts" and will not treat them if they dont'; and these "contracts" force patients to submit to humiliating and demeaning criminal probation procedures of drug urine testing the patients for illegal drugs, for which the doctors have no search warrants and no private right of action to charge these innocent disabled patients with a crime. So, the COST of medical practice in Vermont goes higher and higher by invention of this type of specialty clinic and the associated UNNECESSARY TESTING! 2nd story: Vermont Board of Medical Practice Criminalizes Prescription Painkillers! you will see that one of the filed documents is by Phil Ciotti, INVESTIGATOR, who claims that he told a patient THE STREET VALUE OF HER PRESCRIPTIONS, and allegedly, because he abused her by scaring her and frightening her, she allegedly agreed to give up taking prescription painkillers. But for the fact that the Investigator for the Vermont Board of Medical Practice allegedly threatened and terrified a patient BY TELLING HER THE STREET VALUE OF HER PRESCRIPTIONS, she would not have agreed to stop taking them. Think of what it will be like when the government is 100% in control of medicine. You can read more stories about the War On People in Pain at Pain Relief Network. And of course I have written extensively on the subject. It is my belief - backed up by facts - that addicts are in chronic pain and that pain is not yet recognized by the medical profession. It has happened before with fibromyalgia. At one time fibromyalgia patients were treated by the medical profession as common addicts. No longer. And we want to hand the medical profession over to more ENFORCERS with guns? Why? Sarah Palin is reading a book. Sarah Palin has already demonstrated a capacity to connect with ordinary Americans. This charisma frightens and angers many and the left, and not a few Republicans as well. I fully expect Governor Palin, whose mind displays the quality of a rapid learner who knows how to use what she has learned, to begin to ground her public statements in the philosophical depth so well-presented in Liberty and Tyranny. The phony intellectual elitists, who have little or no understanding, much less grounding, in the fundamental ideas undergirding the American republic are not going to know what has hit them, once Sarah Palin returns to the public spotlight to discuss the future of our nation. The shallow conservative intellectuals, jealous of her connection to the taproot of the American spirit will also be bewildered. Here is a review I found interesting. I've been a Democrat for as long as I can remember. I am not a far left liberal, or a "Statist" as Mark would say. I do wonder though if Mark thinks all Democrats are Statists. I consider myself a Democrat simply because I am a little left of center, I am more conservative when it comes to fiscal matters and liberal when it comes to social issues. But as a Democrat, I enjoyed this book and I urge other people who may not see themselves as Conservatives to have an open mind and read this book. It is very well written and Mr. Levin makes many great points. If you're not a Conservatives, this book will not change your views overnight, so don't worry. Also, this book is not "Republican propaganda" as other reviewers, who probably didn't read the book, have labeled it. However, this book might open your eyes to things you never thought of before. After reading this book, I do have much more respect for true Conservative principles that Mr. Levin outlines. This was a good read. I think if Christopher was a little more up on political terminology he would consider himself a libertarian. I'm probably in the same political demographic. Fiscally conservative, socially moderate and in favor of small government. Which is why I consider myself a libertarian Republican. Palin is my gal. Politically. India is not going along with the climate change scare. India has taken the hardest line in the negotiations so far. Along with China, India refused at the meeting of the Group of Eight industrialised nations this month to sign up to a target of cutting global emissions by half by 2050. The countries were holding out to gain concessions from the west on financing. The claims from Mr Ramesh that Western science was wrong on the question of melting Himalayan glaciers appeared to reinforce Delhi’s recalcitrant stance. Mr Ramesh this week challenged Hillary Clinton, US secretary of state, over her appeal to India to embrace a low-carbon future and not repeat the mistakes of the developed world in seeking fast industrialisation. Well of course. If the Indians would only be content to die and pass up the advantages of wealth it would be so much better wouldn't it Herr Clinton? What are a few million dead children among friends? Besides, fast industrialization would decimate the servant class don’t you know. Can't have that now can we? Neurosurgeons don't come cheap. Here is why. And with jackpot justice that awards one claimant zillions while others get nothing -- and one-third of everything goes to the lawyers -- where do you think that money comes from? The insurance companies, who then pass it on to you in higher premiums. Them Democrats only have your best interests at heart. Just ask their fund raisers. It did not get a very good rating. I'm not totally sure if it was because of Obama or because of the jokes. The doctor in the video is talking about Medicare when he says it has the most fraud, waste, and abuse. So the question is: how is the current plan for National Health Care going to fix that? As far as I can tell it isn't even addressed. The other question is under-reimbursement of doctors? The Congress seems to have paid off doctors to get their support. ..."House Democrats want to give doctors a $245 billion sweetener that helps ensure their critical support for a health care overhaul bill," The Associated Press reports in a separate story. "Next up: Trying to explain how they could do it without breaking President Barack Obama's promise that health legislation won't increase the federal deficit. ... Democrats and the Obama administration argue that the $245 billion included for doctors — the approximate 10-year cost of adjusting Medicare reimbursement rates so physicians don't face big annual pay cuts — does not have to be counted in the overall cost of the health care bill. Their only-in-Washington reasoning is that they already decided to exempt it from congressional 'pay-as-you-go' rules that require new programs to be paid for. In other words, it doesn't have to be paid for because they decided it doesn't have to be paid for." "Old policy or new, no one disputes that the 'doc fix' does in fact add to the deficit. And the administration's position carried no weight with the CBO when it released its analysis of the House Democrats' bill. Smoke, mirrors, and lies. From our President and Congress? I'm shocked. Yes the cities are getting restless - in California. More than 180 California cities have passed resolutions threatening to sue the state if lawmakers approve a budget plan that would seize $4.7 billion in local funds to help close the state’s massive deficit, according to the League of California Cities. The plan announced Monday by Gov. Arnold Schwarzenegger and legislative leaders uses a variety of means to essentially shift part of the state’s $26.3-billion budget deficit to city and county governments. The prospect of losing $313 million in redevelopment funds and $109 million in gasoline taxes prompted the lawsuit threat from Los Angeles County supervisors Tuesday. The cities and league would join the L.A. County lawsuit. I think this may be a trial balloon for the Federal Government. The Declaration of Independence had a few words on the subject. It seems as if the serfs are starting to stand up. Revolution is in the wind. By ballot if that can be done. By other means if not. An interview with author Harry Stein by Glenn Reynolds. A discussion of liberal tribalism. Obama: "I Have Great Insurance"
President Obama is satisfied with his insurance. Obama says it's not about him. "I have great health insurance and so does every member of Congress," the president said in remarks prepared for his news conference Wednesday night. "This debate is about the letters I read when I sit in the Oval Office every day, and the stories I hear at town hall meetings. This debate is not a game for these Americans, and they cannot afford to wait for reform any longer." But confidence in his approach is slipping. Independents, middle-of-the-roaders who were vital for Obama's election, are increasingly skeptical. Forty-seven percent disapprove of how he is handling health care, up from 30 percent in April, the AP poll shows. If this plan he wants to FORCE on the rest of us is so good why doesn't he promise to drop his plan and join the plan he is proposing - out of solidarity? Why don't all the Congress Critters pushing this plan promise to drop their coverage and join any plan they vote on? I guess the proposed plan is good enough for the peasants and not good enough for our masters. Here is a link that will help you decipher the hand signs. So why rap music (which I generally hate) and hand signs? Well I have a story about a political rally. And the "singer" in the video performed at the rally. Multiple shootings were reported at a Wednesday night concert on the Texas Southern University campus where a spokeswoman said at least three people were wounded. TSU spokeswoman Eva Pickens tells the Houston Chronicle at least three people were shot at the event hosted by Houston City Council member Peter Brown, who is running for mayor. Pickens says it's unclear if any students were injured and there was no immediate word on conditions. Lucinda Gwinn, who manages Brown's mayoral campaign, said the concert by rapper Trae the Truth was organized by TSU, U.S. Rep. Sheila Jackson Lee, Brown and other council members and officials to promote voter registration. Houston police told KTRK-TV four people were shot at three locations within a block, one on campus and two off campus. What exactly did these pols expect when they scheduled the musical "entertainment"? Peace, love, and good vibes? Well now we know why the bill has a mandatory Advance Care Planning section in it. Under Obama Care you are going to need it a LOT sooner than you think. It seems like the Democrat Party is not happy with some Democrats. The DNC announced that they will start running ads in Blue Dog districts to punish them for their vote on Waxman-Markey. They may do the same for any Democratic nays on ObamaCare. This is great. I remember not so long ago when they ran Lamont against Lieberman and Lieberman won a stunning victory. BTW Lieberman is now a Democrat leaning independent. And independent is the largest and fastest growing "party" in the American electorate. Now what if the ads the Democrats run make the Blue Dogs more popular in their districts for expressing the will of their voters? Can Democrats be this stupid? In a word - YES. But not to fear. The Republicans are working real hard to catch up and take the lead if they can. They have done it before. I like some of the ideas presented. Like a national market for insurance. I'm not sure of all the ideas presented but at least they are ideas vs. the government swallows everything. In other related news the President has delayed releasing the latest economic report until after the health care vote. My assumption is that the numbers are bad or more likely worse. The Obama administration announced Monday that its Mid-Session Budget Review would not be released this month, as previously scheduled, but rather would be pushed to August. The Obama administration’s projections of economic growth, the deficit and the unemployment rate in preliminary budget estimates in February and May have since been proven overly optimistic. As the president pushes for the House and Senate to pass health care reform legislation before adjourning for the August recess, it could complicate matters to have an official White House acknowledgment that the economy is far worse that it had predicted – especially as moderate Democrats in the House and Senate balk at the cost of the proposals. In any case I have written my Representative, Don Manzullo, suggesting he reject Cap and Trade and the Democrat Health Care Bill. So far he has rejected Cap and Trade and has written me a long letter (not personal I'm sure but very informative) on Cap and Trade. Perhaps it is time to contact your Senators and Congressman to encourage them to Stop The Madness. It couldn't hurt and might help. If we all bought 60% fewer oil products like gasoline, diesel, and plastics we could solve one buy American problem right there. Unless foreigners sold it cheaper than we could produce it. Of course I love the idea of government mandates to buy American. Especially if American products cost more. We could lower our standard of living and be patriotic at the same time. What is not to like? I was reading the comments at a Town Hall post and came across this one. Recently, I stopped to grab lunch at sandwich shop/gas station. It was busy there so I parked in the hinterlands. While walking to the store I passed the gas pumps and I noticed a young black man about 30 splashing some gasoline on the side of his SUV. As I got closer I noticed that the man was stooped over and peeling the "Obama '08" decal off. I couldn't resist. I asked him "how's that Hope & Change thing working out for you?". Half expecting an altercation he angrily looked up at me and yelled out "the mother f***** lied to us, he's ruined our economy", he's bowing to Saudi Kings, meeting with dictators, he's making speeches in Arab countries, he's apologizing to the world for America's deeds, and to top it off now he's making our soldiers mirandize the terrorists on the battlefield, he's a complete idiot, and now he's president". He went on a total rant about Obama, citing a whole list of things that he felt was un-American and finished with "he's probably not even a native born American and not eligible to be president". He went on to explain that he and others from the black community were lied to by the Democrats and were completely misled about Obama. He said "I'll never vote Democrat again", at which point I reached out shook his hand and said "welcome to the Republican Party". He said "thanks" and that many of his family, friends and acquaintances felt as he did. He also said "we have also been misled about the Republicans, and were told that they didn't like Blacks which isn't true...it’s the Democrats that hold us back". I truly believe that "buyers remorse" is beginning to set in. An isolated incident or the start of a trend? Hard to say. I await further developments. One thing for sure, The Smartest President Ever™ is not as smart as he used to be. It looks like the Obama Birth Certificate issue is heating up. In a move certain to fuel the debate over Obama's qualifications for the presidency, the group Americans for Freedom of Information has Released copies of President Obama's college transcripts from Occidental College Released today, the transcript indicates that Obama, under the name Barry Soetoro, received financial aid as a foreign student from Indonesia as an undergraduate at the school. The transcript was released by Occidental College in compliance with a court order in a suit brought by the group in the Superior Court of California. The transcript shows that Obama (Soetoro) applied for financial aid and was awarded a fellowship for foreign students from the Fulbright Foundation Scholarship program. To qualify, for the scholarship, a student must claim foreign citizenship. This document would seem to provide the smoking gun that many of Obama's detractors have been seeking. Well that is INTERESTING. Is that the truth or was he lying to get government money? If it is the truth he is in big trouble. If he was lying he is a fraudster. And wonder of wonders it looks like the Supreme Court will weigh in. In a related matter, under growing pressure from several groups, Justice Antonin Scalia announced that the Supreme Court agreed on Tuesday to hear arguments concerning Obama's legal eligibility to serve as President in a case brought by Leo Donofrio of New Jersey . This lawsuit claims Obama's dual citizenship disqualified him from serving as president. Donofrio's case is just one of 18 suits brought by citizens demanding proof of Obama's citizenship or qualification to serve as president. A Kreep going after our beloved President? You just can't make this stuff up. Fortunately I don't have to. Now that I have (some of) your hopes up, let me throw some dry ice (it is very cold and made of CO2 - the most evil substance known to man - next to stupidity) on those hopes. There is supposed to be a story on the front page of the Brit Daily Mail about all or part of this. But there is no such article at the Daily Mail, there is no record of Robert Gibbs making any such statement, there is no such group as the Americans for Freedom of Information, and finally, of course, there is no record of any such Associated Press story actually being written. And you know what? I couldn't find the Daily Mail story either. And I looked hard. There is a United States Justice Foundation but there is nothing there about Scalia and the Supreme Court. Evidently the Supreme Court has already turned down a chance to hear the Donofrio suit. And that was in December of 2008. This is just another case of ODiouS. Obama Derangement Syndrome. I wonder who gets the IOU for that one? If Obama is going down it will have to be done the old fashioned way. Bare knuckle politics. Have you been to a Tea Party lately? Have you contacted your Congress critter about Bills and votes? Purchasing Magazine predicts lower gasoline prices for at least 6 months and maybe longer. Gasoline prices have been on a recession-defying march in the first half with futures prices rising largely on optimism that a strengthening economy eventually will drive demand higher. However, "it's more hope than fact," analyst Adam Sieminski of Deutsche Bank in New York tells the Associated Press. "Investors think the economy has bottomed and possibly recovering and they're moving to assets they think will benefit from the economic recovery and that includes commodities generally and oil specifically." The retail price of gasoline may have peaked around $2.63/gallon in early June, according to economists who see prices slipping this autumn. "This run-up in gasoline prices shouldn't last," according to Tom Kloza, chief oil analyst for the Oil Price Information Service in Wall, N.J., who says a repeat of the 2008 record run-up past $4/gallon in July isn't anticipated. "It would take a geopolitical disaster, an earthquake or major hurricane damage to drive prices much higher than they are now," he says. You have to wonder why the greedy oil companies haven't jacked up prices? After all people were willing to pay $4 a gallon last year. Maybe they do operate on the supply and demand principle after all. When the planetary effects have been searched as a cause for sunspots, a gravitational effect is mostly assumed. My theory is purely statistical so it does not necessitate a theory about the physical background. But still one can make some speculations. Evidence strongly suggests that the sunspots have a clear electromagnetic nature. The solar system baths in the electromagnetic field of the Sun. Nasa announced in 2008 that there are some kind of electromagnetic "ropes" between the Sun and possible all the planets that have an electromagnetic field of their own (such as Earth and Jupiter for example). I make a suggestion: The electromagnetic fields of Sun and Jupiter are partly intertwined, sometimes more, sometimes less during the nearly 12-year orbital revolution of Jupiter. Changes in eccentricity may then cause long-period changes in Sun's activity. And one thing we don't know: if the theory of everything combines gravity and electromagnetic forces the warping of space around Sun would really cause something extraordinary, like changes in the Sun's activity. One interesting thing is, that although the main effect of Jupiter seems to come via the perihelia of Jupiter, also the points where Jupiter crosses the plane of equator of the Sun, seem to have some effect. The author takes a look at what this all might mean for the weather on Earth. - The Jupiter perihelion and sunspot minimum never coincide and the nearing perihelion in 2011 will slow the rise of the height of sunspot cycle, as now is happening to the cycle 24. - The Gleissberg cycle almost reached its lower limit, which is 72 years in 2005. --- In fact this low it has not been ever after the Maunder minimum. --- So it must go up, the short cycles of the 20th century has created a debt that must be paid. --- This means lower cycles and if the past is a good predictor, colder times on Earth. "The satellites have found evidence of magnetic ropes connecting Earth's upper atmosphere directly to the sun," said David Sibeck, project scientist for the mission at NASA's Goddard Space Flight Center, Greenbelt, Md. "We believe that solar wind particles flow in along these ropes, providing energy for geomagnetic storms and auroras." A magnetic rope is a twisted bundle of magnetic fields organized much like the twisted hemp of a mariner's rope. Spacecraft have detected hints of these ropes before, but a single spacecraft was insufficient to map their 3D structure. THEMIS' five identical micro-satellites were able to perform the feat. "THEMIS encountered its first magnetic rope on May 20," said Sibeck. "It was very large, about as wide as Earth, and located approximately 40,000 miles (70,000 km) above Earth's surface in a region called the magnetopause." The magnetopause is where the solar wind and Earth's magnetic field meet and push against one another like sumo wrestlers locked in combat. There, the rope formed and unraveled in just a few minutes, providing a brief but significant conduit for solar wind energy. I wonder if the IPCC has included this in their models? Probably not since it is not well understood. How many other things that may or may not affect climate are not well understood? And that is just the known unknowns. Could there be some unknown unknown that affects climate that we are missing? Well the answer of course is: we don't know. Glenn Beck explains the American oligarchy/government organization chart. The Greeks have seen all this before. Something like 3,000 years ago. The one thing we have in our favor is that oligarchies are rarely popular when self-government is at least a theoretical option. Time to take to the streets. See you at the next Tea Party. Commenter ThomasD at Classical Values had this to say about the Advance Care Planning post. I also absolutely loathe Obamacare and it's backdoor attempt to create a single payer government controlled system of health care rationing. That said, what you cited is typical government speak, similar mandates already exist within the nursing home and hospice regulatory schema. But the opacity of the verbiage certainly doesn't help to dispel a layman's concerns. The real problem is that this is just the legislation and it wouldn't even matter if it sounded nice and benign. After enactment what follows is that some executive governmental body then takes that law and turns it into regulation - and that is where things go horribly awry. Once government gets a power the citizens get screwed. We are in a headlong rush to Liberal Fascism. Can it be stopped short of Civil War? Maybe. The Obama Administration says that their health care plans are a work in progress. Administration officials defended President Barack Obama's broad health care proposals on Sunday and urged a skeptical public not to judge the Democrats' overhaul until Congress writes a final version. Facing independent budget predictions that contradict the White House's rhetoric, officials sought to refute Republican objections to massive changes in how Americans receive health care. They emphasized that Congress has not yet settled on an outline for health care legislation and reiterated Obama's desire for a bipartisan approach. "This is a work in progress," Health and Human Services Secretary Kathleen Sebelius said, trying to calm nervous lawmakers whose re-elections could hinge on the legislation. "More will be done. The House and the Senate are committed to working with the president to get this done." A work in progress? Perhaps they could explain this .gov url that has something called "Bill Text". Unless they intend to do their usual and parachute in an extra 700 pages of the bill to Congress in the dead of night. And how about the cost of all this? Paying for the health care plan remains the major challenge, underscored by a nonpartisan Congressional Budget Office report that emerging House legislation would increase deficits by $239 billion over a decade. "I don't follow why we've got to spend another $1.5 trillion to $2 trillion, most people estimate, on top of the $2.5 trillion we're already spending in this country and yet still have, under one estimate, at least 33 million people without health insurance," said Sen. Orrin Hatch, R-Utah. "I mean, these are things that are real serious problems." Democrats insisted the budget analysis ignores savings and Obama's pledge not to add red ink to the federal ledger. The Democrats have failed to mention what the expiration date for this Obama promise is. That Obama is one greased weasel when it comes to promises. I can tell you right now that they are FORCING me to join Medicare in a few months and I'm not happy about it. Not one bit. Will this new "revised" plan be any different? I doubt it. It is not the Democrats way. There is only one way to put a stop to this crap. As soon as possible. And the Won? Three Years 6 months 0 weeks and 0 days to go. Translation: you will be encouraged to give it up (DNR - do not resuscitate) fur da grater god duvall. i.e. "you are going to die - would you care to speed things along?" And now you know where the cost savings will come from. No doubt Obama's Science Adviser John Holdren had some inputs on that section. The Russian Fleet is in dire straits. In ten years it may no longer (for practical purposes) exist. The NVO report does not pull any punches: "The Russian Navy is on the verge of irreversible collapse. Within ten years there will be in the entire navy less than 50 vessels still capable of operations, which would be a number not even the size of one of our 'lesser fleets' like the Baltic Fleet or the Black Sea Fleet." The report rates the navy's situation as the worst in almost a century and concludes "this present catastrophe is comparable to what happened in the course of the [post-1917 Bolshevik Revolution] Civil War years when the fleet was left in ruins. If during the oil and gas boom of the 2000s the Russian Navy received practically no funding, now today during a period of difficult [economic] crisis the fleet will--without a doubt--have to die within the next few years. This is not merely a possibility, it is a fact." Those warships still left in useable condition have seen their level of operations scaled back in order to preserve their service life. This is particularly true in the case of the submarine fleet, which has seen its Cold War high tempo of patrols drop off to almost nothing. Last November's joint naval exercises with the Venezuelan Navy off the coast of South America amounted to a little more than symbolic participation by only four Russian vessels that made the trans-Atlantic crossing. The end of the Russian Navy will mean their further decline as a super power. There is nothing like 70 years of socialist/communist mismanagement to run a country with abundant physical and human capital into the ground. And going in the opposite direction is the US Navy. If the US Navy's investment in Polywell Fusion pays off it will mean much lower operational costs for the US Fleet (much lower oil consumption). Such an advance will leave the rest of the competing navies of the world in the dust. We Will Know In Two Years. I'm optimistic. The American Thinker has a good article up on the Polywell Fusion Reactor with the basics. I was in a hippie house on Webster Avenue, just off of Telegraph Avenue in Berkeley, California, watching avidly on a B&W TV. I never imagined that we would stop manned missions to the moon and beyond for such a long time. Read the Democrat health insurance plan [pdf]. All 1,000 plus pages. The Doctors also have Web Page. And you know what else? The CBO says that there will be no cost savings with the Democrat Bill. Our government lying to us? I'm shocked. Think of how much worse it would be if we weren't lead by The Smartest President Ever™. Three Years 6 months 0 weeks and 2 days to go. A discussion of the talk (and other speeches given at the conference) can be found here. I have read it. You should read it. If you can't afford it and don't have the time to go to the library and read it may I suggest a review I wrote of the book: How To Put an End to Drug Users. The question as always is how well does it scale? How much surface area does it require per BTU of fuel? Oh, yeah. What is the conversion efficiency? Watts of sunlight vs BTUs from the fuel. And BTUs per dollar. If the Democrat health insurance plan passes it will mean the end of private health insurance. Something on the order of 80% of all Americans are satisfied with their health insurance. Are they going to be surprised if this turkey passes. And it will also mean a reduction of labor mobility for those who like their health care. I like the Republican plan a little (not much) better. It would create a national market for health insurance. I do think regulation of health plan solvency is a good idea. What I don't like is State mandates for this coverage or that coverage. Let the insurance companies devise the plans not State Governments. Obama in Russia. Evidently the guy don't get no respect. You can see an excellent video that explores the Canadian Health Care system at the link. The bottom line? The Canadian system is a two tier system. The poor get long waits (leading to injury and death) the rich buy their health care. Here is the health care bill Congress is preparing to vote on. If you want to see the results watch the video. You had better bribe (I mean give a campaign contribution) to your Congress Critter if you want to do business with Government Motors. Here is Michael Barone on the car mafia. Think carefully about what's happening here. The White House, presumably car czar Steven Rattner and deputy Ron Bloom, is seeking to transfer the property of one group of people to another group that is politically favored. In the process it is setting aside basic property rights in favor of rewarding the United Auto Workers for the support the union has given the Democratic Party. The only possible limit on the White House's power is the bankruptcy judge, who might not go along. Michigan politicians of both parties joined Obama in denouncing the holdout bondholders. They point to the sad plight of UAW retirees not getting full payment of the health care benefits the union negotiated with Chrysler. But the plight of the beneficiaries of the pension funds represented by the bondholders is sad, too. Ordinarily you would expect these claims to be weighed and determined by the rule of law. But apparently not in this administration. Evidently the pension funds that invested in what was formerly known as Chrysler Motors (now Crisis Motors) are out of luck. I guess the deal is: if you want to retire make sure you are politically connected. Or even better advice: don't invest in any company with a strong union. Let me amend that: don't invest in any company with any union. In these times it pays to play it safe. It looks like the scientists who have predicted unending global warming caused by CO2 emissions may be in serious error. No one knows exactly how much Earth's climate will warm due to carbon emissions, but a new study this week suggests scientists' best predictions about global warming might be incorrect. The study, which appears in Nature Geoscience, found that climate models explain only about half of the heating that occurred during a well-documented period of rapid global warming in Earth's ancient past. The study, which was published online today, contains an analysis of published records from a period of rapid climatic warming about 55 million years ago known as the Palaeocene-Eocene thermal maximum, or PETM. If this study holds up we are going to be wasting vast sums of money (robbed is a better term) if Waxman-Malarkey passes the Senate. This is nothing new for regular readers of this blog. I have thought for a long time that the models were not well connected to reality. What is new is that the nails are getting more frequently pounded into the AGW coffin. People are starting to lose faith - especially considering the cold summer we have been having in much of the USA. It seems that the faith is starting to lose adherents. It seems that the science is not so settled. Even the guys at Real Climate are starting to hedge their bets. Nature (with hopefully some constructive input from humans) will decide the global warming question based upon climate sensitivity, net radiative forcing, and oceanic storage of heat, not on the type of multi-decadal time scale variability we are discussing here. However, this apparent impulsive behavior explicitly highlights the fact that humanity is poking a complex, nonlinear system with GHG forcing – and that there are no guarantees to how the climate may respond. Say, weren't they very big promoters of "the science is settled" meme. Yes they were. I guess that now a days the science is not so settled. Some one call Al Gore. Stat. Sarah Palin has a few words to say about climate change. There is no shortage of threats to our economy. America's unemployment rate recently hit its highest mark in more than 25 years and is expected to continue climbing. Worries are widespread that even when the economy finally rebounds, the recovery won't bring jobs. Our nation's debt is unsustainable, and the federal government's reach into the private sector is unprecedented. So true. The fact that we now have a politician with a national audience speaking out on this issue is a wonderful thing. There is now a former candidate for Vice President speaking out against former Vice President Al Gore. Wonderful news. Maybe the US Senate will grow a spine and vote down Waxman-Malarkey. In other Palin news some one promoting her political career says she is not leading a conservative movement. Sarah Palin stands for energy independence, limited government, free enterprise, and individual liberty. Are these “conservative” values? Let us not forget that in their day and time our founding fathers were radicals fighting those who wanted to maintain the political status-quo; subjugation to the king. Their sense of individual rights and liberty is historically progressive when you compare alternative political systems, monarchies, empires, totalitarian states. Republicans have forgotten their progressive roots and Democrats have cornered the market on their so-called progressive solutions for America. The Democratic Party now nearly completely in control of the Federal government, is in fact regressive, conservative, and pushing the nation back to its colonial roots; subjugation to the king, who now sits in Washington D.C. It is the Liberals who are out of the mainstream of America, it is they who want to turn over individual liberty to Federal overseers. What have we become as citizens when we allow a virtual monarch to sit in the city named after one of our great liberators? Will we be free citizens or colonists toiling for tribute to send to Washington? It is not conservative to advocate for personal liberty or to empower the individual to achieve their own American dream. It is not conservative to advocate for strong national defense. It is not conservative to keep government limited in order to protect the rights and freedoms of the individual. It is not conservative to allow free enterprise, innovation, and creativity to drive the national economy. These are not conservative principles, these are uniquely American principles. I urge Democrats, Republicans, and Independents who believe in these principles to stop calling themselves “conservatives” as if that label separates them from the mainstream of American society. If you agree with Sarah Palin, and advocate these principles then you’re not a conservative, you’re an American. This is not a conservative movement, this is an American movement, and one of the most progressive movements in human history. Sarah Palin the new Progressive? Talk about taking back the language. And Palin as the leader of a movement? I like it. I also like Palin in in a swimsuit. And why not? I love women in American motif bikinis. Beauty contest entrants in swim suits don't seem very conservative to me. Me? I'm not very conservative either. I'm more of the libertarian persuasion. As far as I can tell Sarah governed as a libertarian. 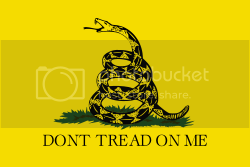 In fact the themes she propounds are very libertarian. And libertarian ideals are a very American governing philosophy. Socialism is a European import. My grandparents left Europe to get away from that sort of thing. And I'm not interested in it either.